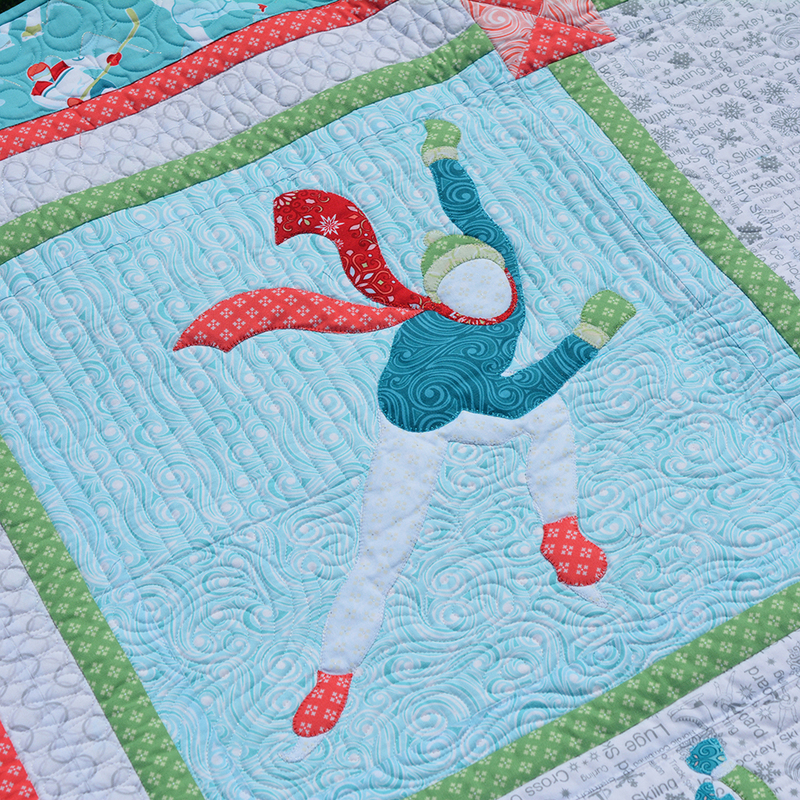 Home / Aurifil / Introducing Winter Games (and a blog hop with giveaways)! 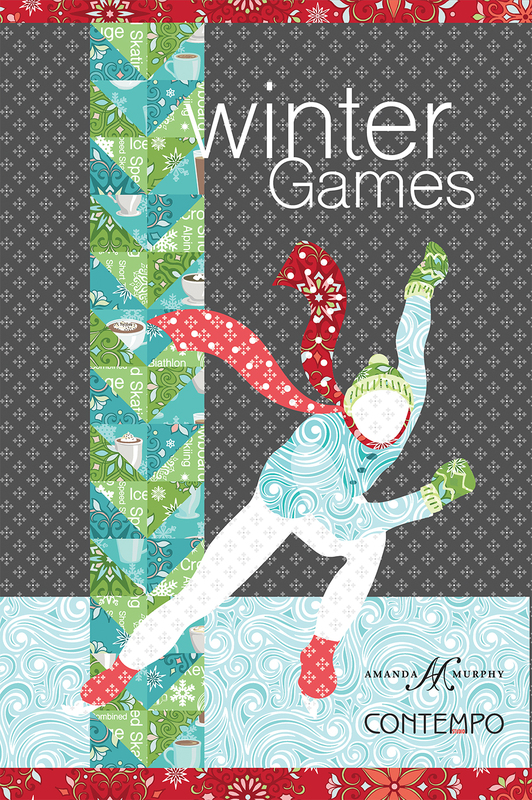 Introducing Winter Games (and a blog hop with giveaways)! 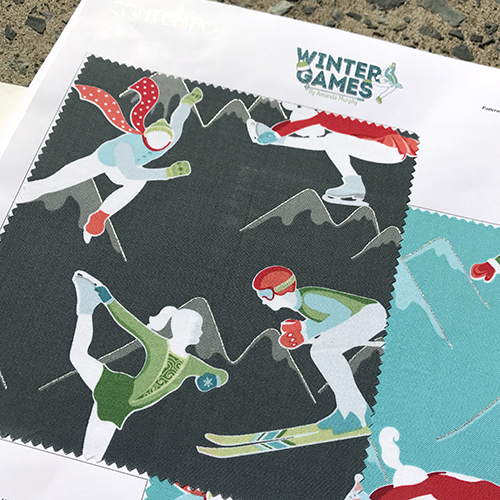 Some of you are just too quick and have noticed my new line – Winter Games – popping up in stores or have written me to ask where you can find it. 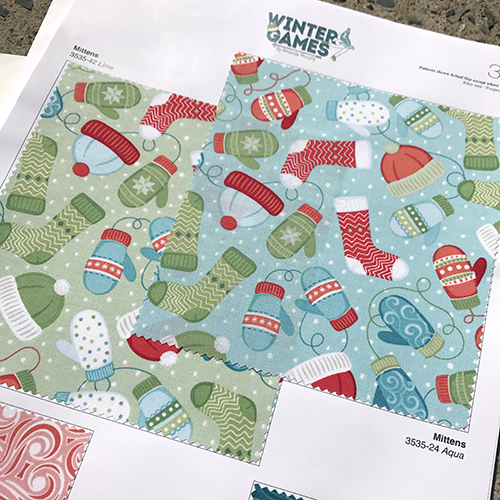 I’ve been so wrapped up in promoting Meadow Dance (which, incidentally, is pretty much all sold out but is being reprinted and should be back shipping next month) that I haven’t had time to introduce Winter Games properly so I thought I’d do so today. Since the Winter Olympics are in February of 2018 I decided this fall would be the perfect time to launch a winter sports line! Then we can have lots of fun sewing prior to and during the Olympics! Are you with me? 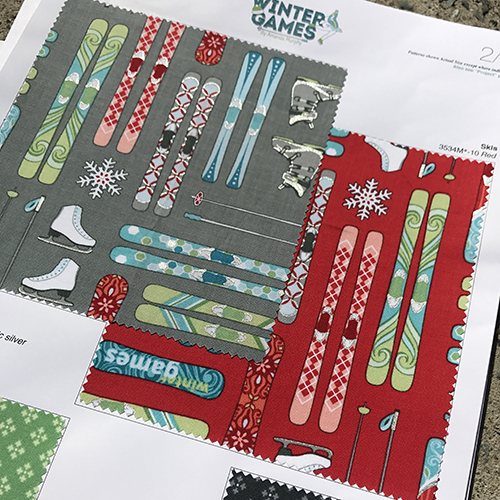 Benartex has some fun fabric giveaways lined this week on their Winter Games blog hop, so make sure to check it out each day! I added some snowflakes into the mix. 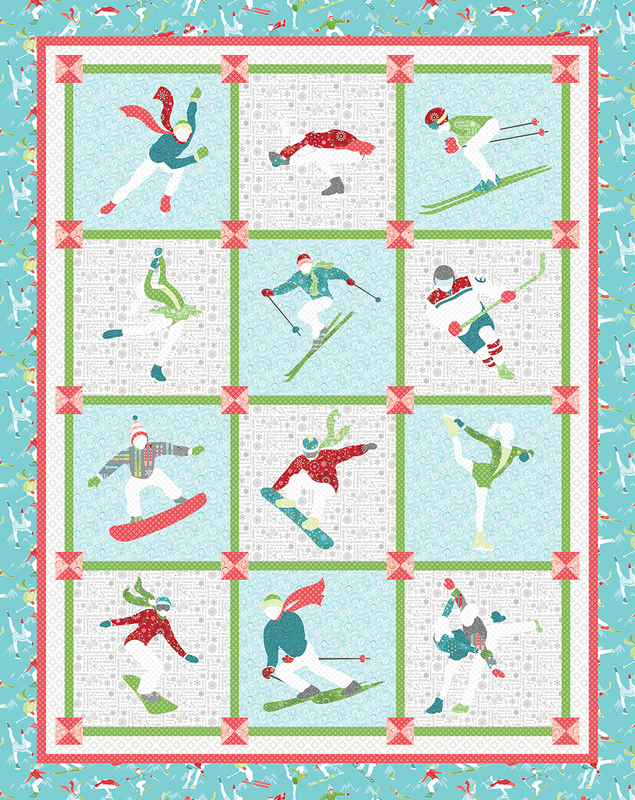 I love how the traditional snowflake motifs contrast with the modern athletes! All that activity probably makes the athletes tired. They need sustenance. Hot chocolate and lattes will do in a pinch. Do you like the text print? I hope so! It is my favorite today. As always, I have some blenders for you. 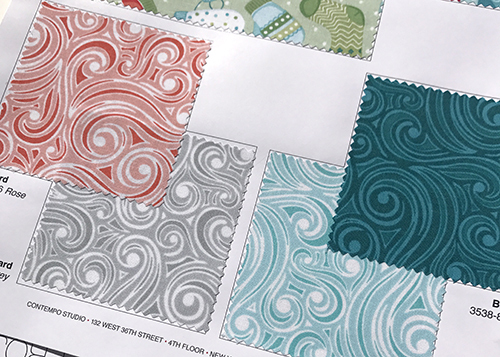 It is important to have blenders that are fun to quilt! 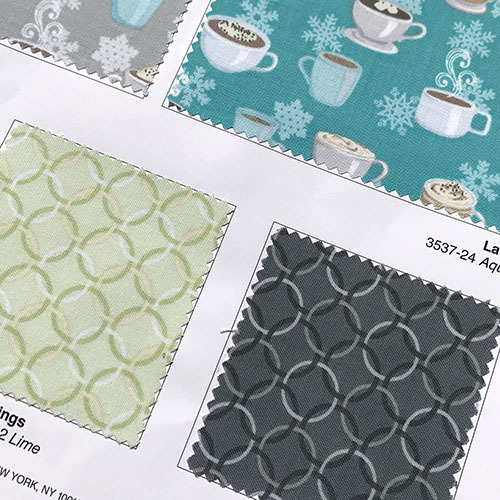 One of my favorite things about this collection are all the shades of grey – it makes for so many design possibilities. This dark grey is all about drama. 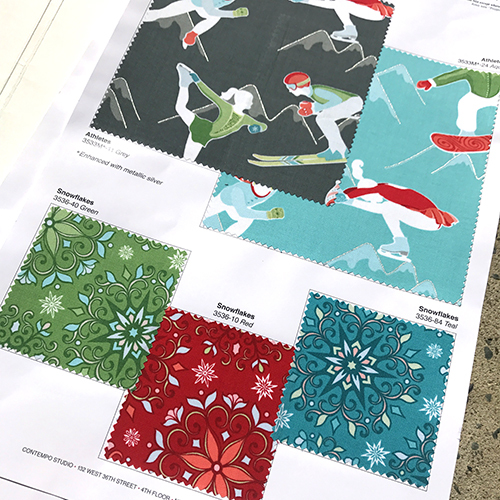 When I designed this collection, I had my heart set on an applique project that allowed the athletes to really shine! 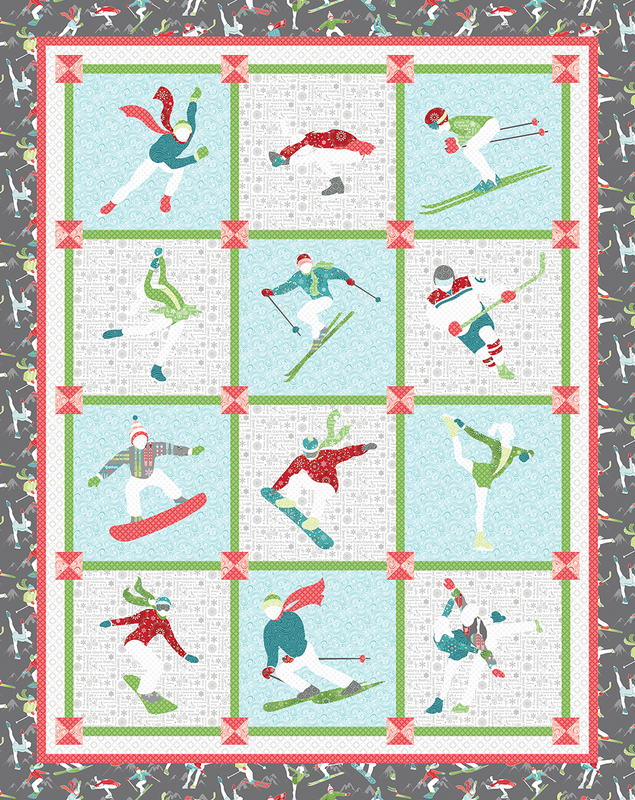 So my first pattern for this collection is Winter Sports! 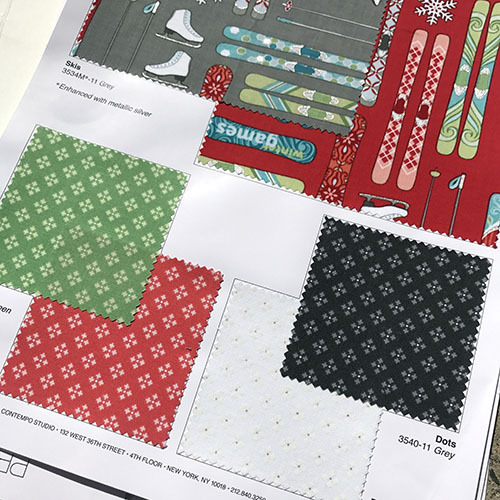 There is a download code for SVG files included to use with fabric cutters for all of the accessories so you can dress your athletes quickly.! I sewed my sample with an aqua border but I really like the grey version too! 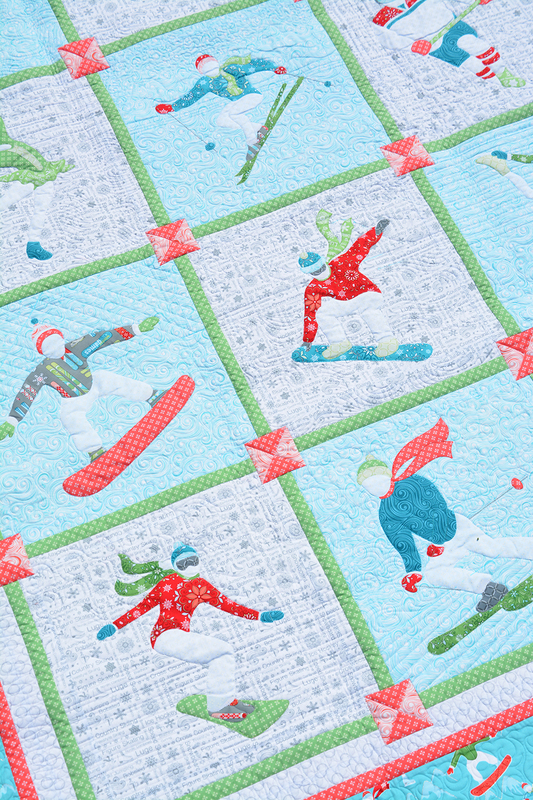 “Skating Rink” The pattern can be downloaded from my Downloads page. And of course I have a free pattern for you all. 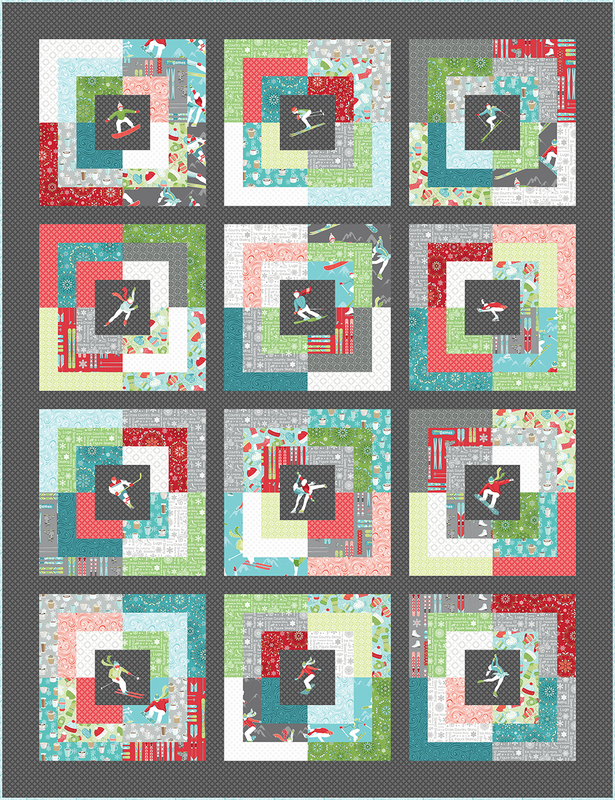 This one features simple piecing on a dark grey background, with fussy-cut athletes appliquéd to the center of each block. 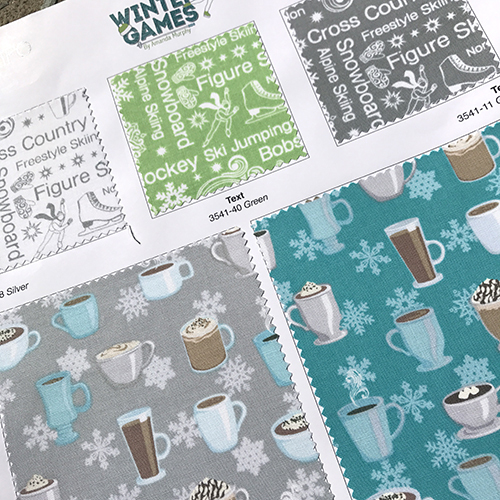 Don’t forget to visit Benartex’s blog hop this week for chances to win a bundle of Winter Games and for some great mug rug tutorials! I hope you love this collection as much as I do! If you do, please ask your local shop to order it from Contempo of Benartex. I’d really appreciate it. If you are a shop who has bought this collection, you are welcome to post that information in my Facebook Group. 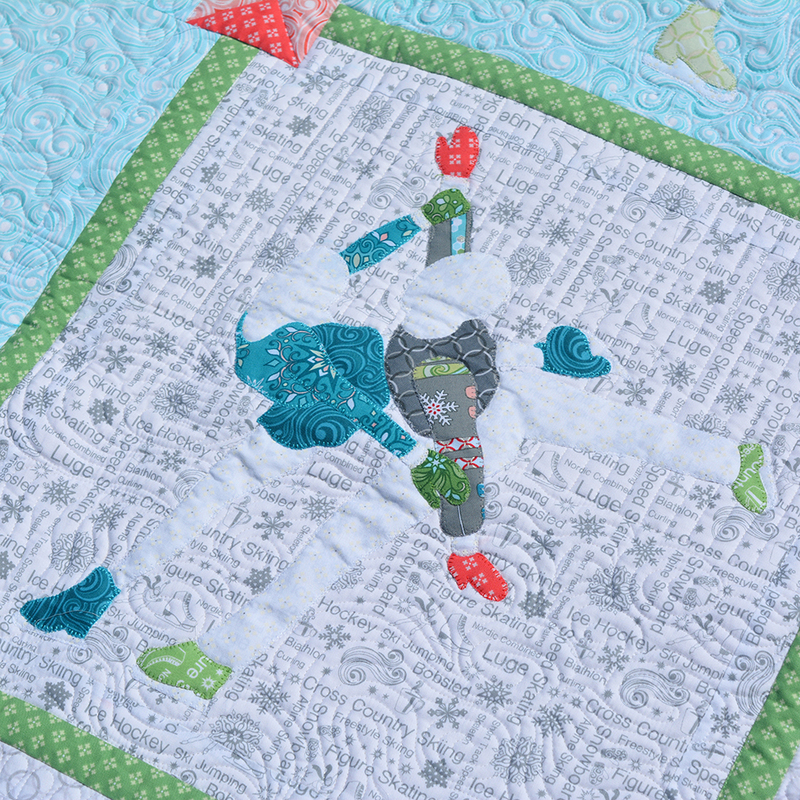 Previous post: Meadow Dance Blog Hop and Giveaways! Gosh – I don’t know about the goddess part but thanks! I love the fabric. The teal color is wonderful.